The Diet Expert is a website dedicated to health and weight loss. We provide free quality articles, like What Is The 13 Day Diet? and The African Mango Diet Can Help You Lose Weight. Welcome! Hypothyroidism is a disease where the thyroid gland produces too small amounts of the hormones thyroxine and triiodothyronine. The low levels of thyroid hormones cause the metabolism to become very low, which severly affects the body. Weight gain, myxedema and fatigue are just some of the many symptoms associated with hypothyroidism. Surgical removal of the thyriod gland. 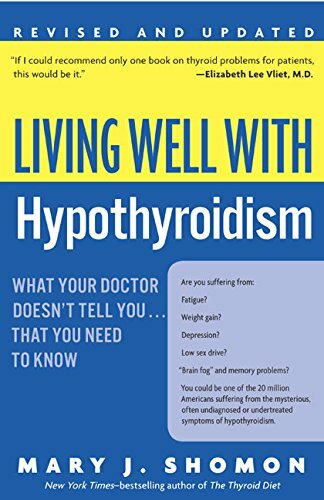 The only method that completely eliminates the symptoms is treatment with synthetic variants of the previously mentioned thyroid hormones. Unfortunately, the synthetic hormones must be taken for the rest of the patient's life, or else the symptoms will come back. However, following a special diet can help alleviate the symptoms and make life a bit more comfortable. What you eat and drink affects health in a very direct way. That's why following a special hypothyroidism diet could have positive effects for those suffering from hypothyroidism. There are a lot of claims made, all over the Internet, on what you should and shouldn't eat when dealing with this disease. However, it is important to understand that many of these claims have not been scientifically proven. There are things we do know, and we have chosen to focus on those facts. Eating a well-balanced diet with low amounts of fat and sugar, and sufficient amounts of trace minerals and vitamins, will benefit health in many ways. For people suffering from hypothyroidism, the weight loss factor of such a diet would be extra important since two of the symptoms are fatigue and weight gain. The fatigue makes exercise just too hard for the patient to manage, which of course further increases the weight. If a healthy diet could keep the weight normal without any exercise needed, then that would be very helpful for the patient. A better mental health and a higher motivation could result as bonuses. Foods that are claimed to be harmful include peanuts, coffee, potato, gluten foods and spinach. However, this has not been backed up by evidence, and should therefore not be taken as the absolute truth. Make sure you consult a medical doctor or a nutritionist before making any drastic changes to your diet. Your body and health could suffer if it's not done properly and under supervision from a professional.